Look out at the night sky long enough and the enormity of what lies beyond the stars is overwhelming, working to shift our understanding of the universe and our place within it. The largest UK exhibition of Scottish artist Katie Paterson paired with a group of works by JMW Turner is an existential journey through time and space. Still, we are drawn to basic human senses – the aroma of Saturn, sounds of a remote Icelandic glacier melting. 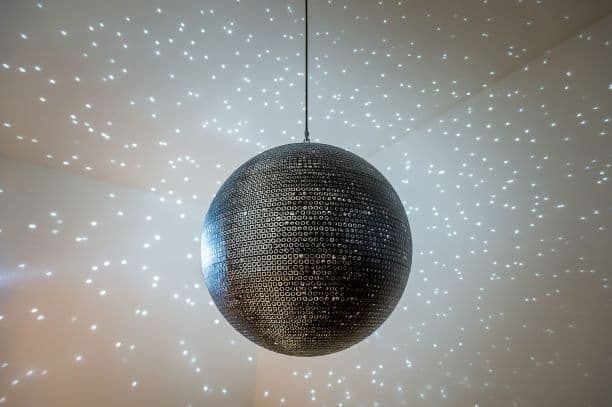 A dazzling disco ball representing 10,000 solar eclipses dance around the gallery space and all stimulate our innate desire to pursue knowledge. 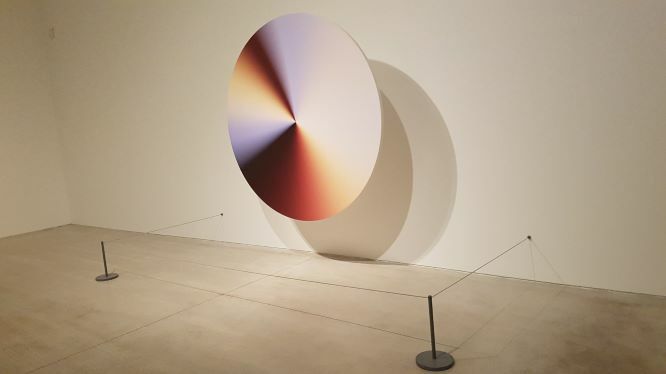 This is a moving and transcendental show that seeks to probe the unknown but conversely follows the well trod path of collaboration while cultivating the symbiotic relationship between science and art. 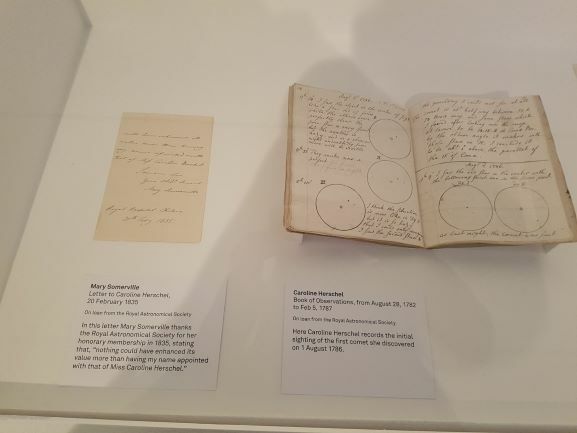 In the tradition of collaboration, the exhibition features letters and journals by Turner’s contemporaries the astronomers Mary Somerville and Caroline Herschel. 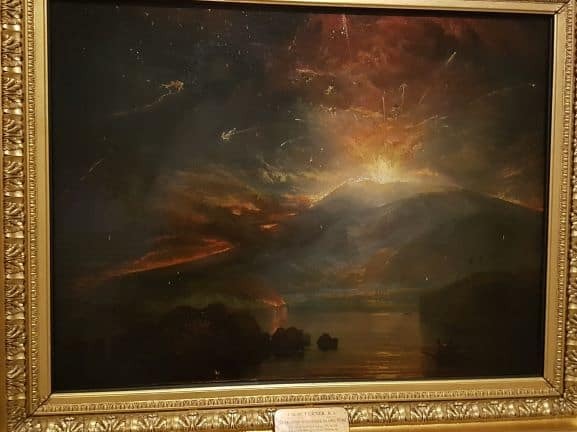 Both proved influential to Turner’s work; they also both lived into their nineties and were the first women members of the Royal Astronomical Society. It’s a moving addition which sits opposite, The Dying Star Letters – epistles of condolence posted to academics when a star dies. The letters are partly inspired through the artist’s love of telegrams. Paper is a medium Paterson returns to in the Future Library project (2014 – 2114). Planting 1,000 trees in Oslo, Norway supply the paper for an anthology of books, one century from now. A new text will be written each year by a different author, kept in trust and not read by anyone until 2114. Authors include Margaret Atwood, David Mitchell and Bjork collaborator Sjon; the text written in Icelandic throws it’s own questions. Will this minority language even be used a 100 years from now? Nobody reading this piece will ever get to read the texts; a stark reminder of our own fleeting existence. In Earth-Moon-Earth the score to Beethoven’s haunting Moonlight Sonata is translated into Morse code and beamed to the moon before returning to earth; however, through the process sounds are partly lost through moon shadows or lost in lunar craters resulting in a new score, the gaps and absences becoming intervals and rests. 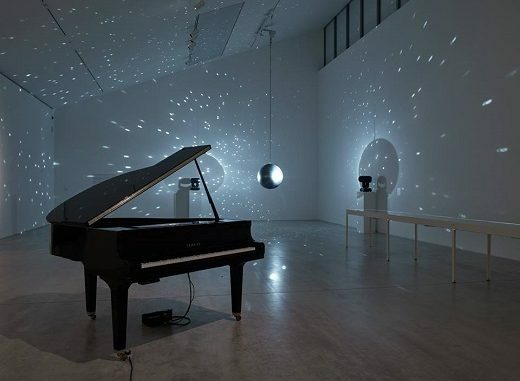 The piece is played on an automated grand piano. Coinciding with the exhibition is Paterson’s publication, Ideas. Short texts that flash in the mind’s eye and germinate. The words are cut from silver using a waterjet. Three of the 30 ideas on display were contributed by The Conversation Agency which sounds like some Orweillian nightmare but in reality, is a group of people from Thanet who collaborated. A place that only exists in moonlight opens at Turner Contemporary on January 26 and runs to May 6.